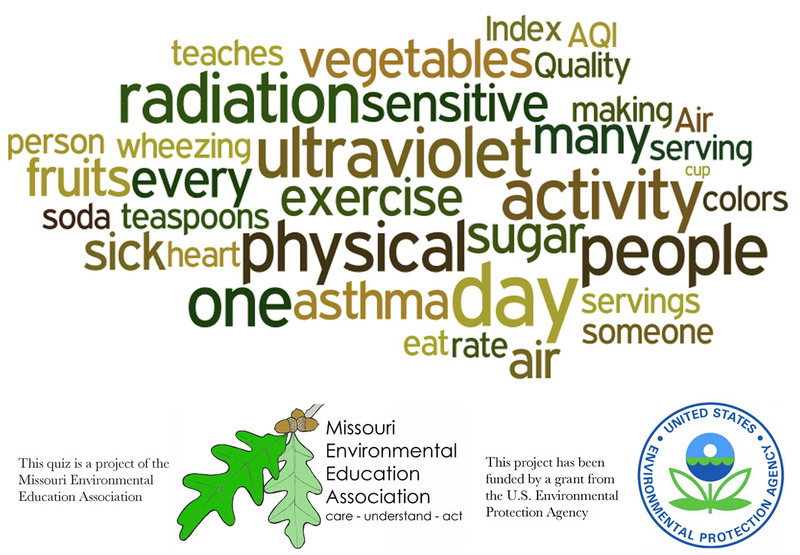 These quiz questions cover food choices, serving sizes and calories, exercise, different levels of physical activity, asthma, air pollution, the Air Quality Index, ultra violet radiation and careers of the people that help keep kids healthy. There are several math questions that use fractions, and very easy multiplication and division. The quiz itself will be ten randomly selected questions from a test bank of over 30 questions.